My name is Daniel from So Cal. 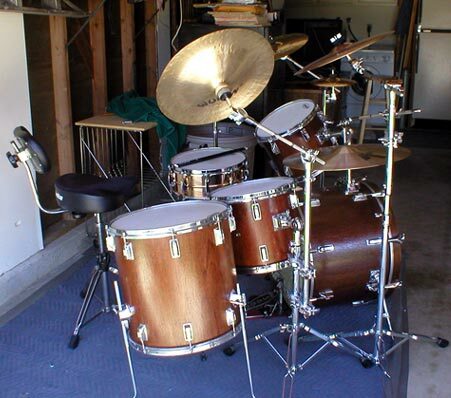 Here are my 2 kits. 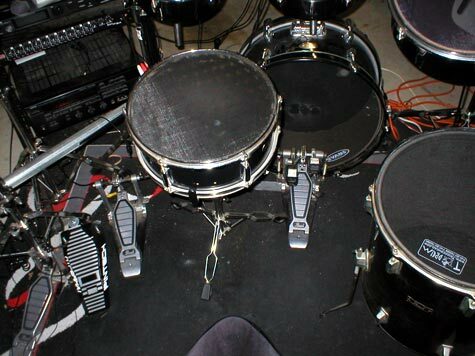 One is electronic, based on the Pearl Rhythm traveler kit with custom triggers all powered by Alesis DM Pro. 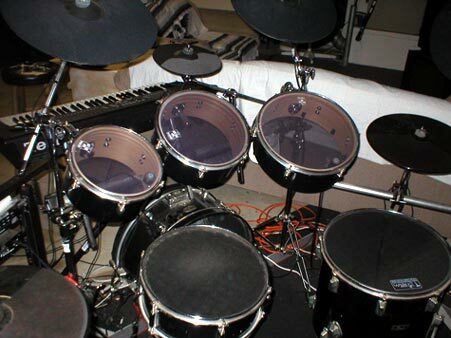 The other is my acoustic kit. Keller shells, red oak stain applied by myself. pearl bronze snare. 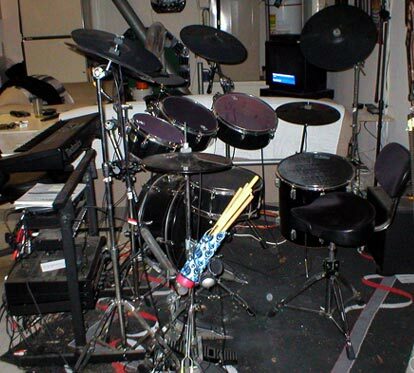 Cymbals are all Zildjians. Evans heads. 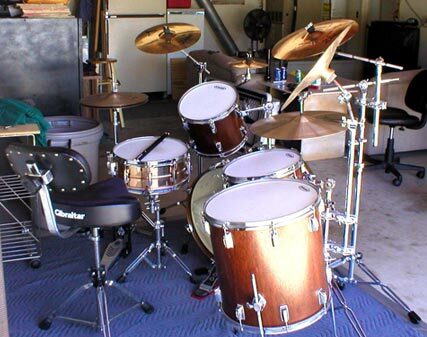 I really need to clean up the Garage.. what a mess! !